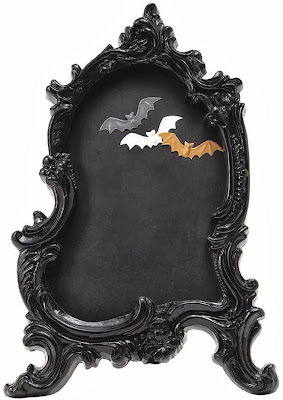 This Baroque chalkboard comes with three bat-shaped magnets. It stands 22 inches high. If one must leave reminder notes for members of one's household (laundry perhaps? Pet meds? Grocery list?) what an elegant way to do it!